Whoever wants a rich harvest, will not bypass a good fertilizer. Because chilli plants that grow up healthy, will also bear more fruit later. Come and get your chilli booster! Top Tip: Get the Garden Boost Power Pack for your plants. You get the ideal fertilizer package for 3 chilli plants for MAX HARVEST with MAX DISCOUNT :-) Available as ORGANIC or MINERAL POWER! The Calcium fertilizer that is responsible for beautiful, big and most of all healthy fruits! Very economical, should be enough for a full Chili season. Environment protective liquid fertilizer made from Vinasse. Garden Boost Sheep Wool - Sheep Wool Pellets for one plant! We have developed our chilli fertilizer range together with the Pepperworld gardeners, who have been successfully and passionately cultivating chilies for more than 15 years. 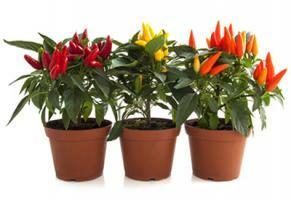 Our experts know exactly which chilli fertilizer the fiery plants need and how they feel most comfortable. 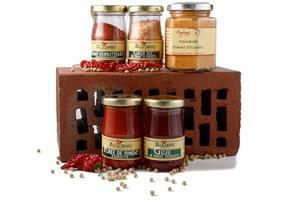 Of course it is also very important to us that all of our chilli fertilizers were produced on a natural basis. That means: no chemicals, only natural chilli fertilizer! This ensures that your chilies remain edible and tasty! Your plant will be strong and big. The bigger the plant, the more fruits it can bear. 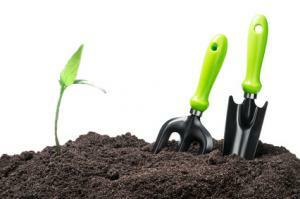 So, fertilize your plant so that they have the strength to produce many big fruits later! This will guarantee you a rich harvest. The stronger your plant is, the more robust it becomes. So, if you supply the soil of your plant with healthy nutrients, the chances of having a long and healthy life increase. Of course, it is also important that your chilli plant is healthy. By making your chilli plant big and strong, it is also less susceptible to disease. The result: a good harvest of many delicious chilies! Although some chilies are rather unpretentious in terms of the nutrient content of the earth, there are also chilli varieties whose care is more difficult. In the more demanding chilli plants, it is therefore all the more important to provide them with the appropriate nutrients, so they can grow well. With our chilli fertilizer you will manage well the breeding of each plant! The most common occurrence for chilli plants is the rotten end blossom. This disease of the flower affects the capacity of the chilli plant to bear healthy fruits. To counteract this, we have developed the Garden Boost Calcium Fertilizer. With this, your chilli plant and its flowers remain healthy and you can harvest well-developed chilies! There are of course different opinions on whether or not to fertilize your chilli plants. For the plants in our garden, the lawn or for the potted plants on the windowsill, the option is clear: The plants should be fertilized. Regarding our chilli plants, our cultivation experts also state a very clear: YES! However, you should pay attention to which chilli fertilizer you add and in what amount. 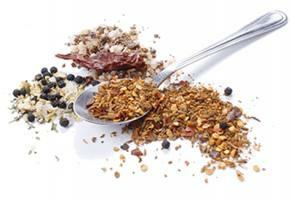 The nutrients added to the spicy plants should be measured accurately. In a lawn fertilizer, for example, you would just spread some of it on the lawn - done. With chilli plants there are many different varieties of chilli fertilizer, which you can buy online with us in the perfectly combined set. What nutrients does a chilli plant need in particular? 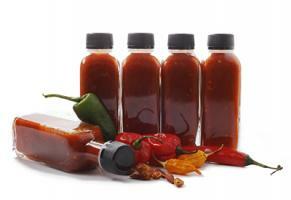 The nutrients needed by a chilli plant, depend entirely on the stage of growth it is currently in. First, the chilli seeds must germinate. All they need is a damp, warm place. When the chilli plant has reached a certain size, it needs nitrogen for the growth of the leaves and also for the roots to grow big and strong enough. 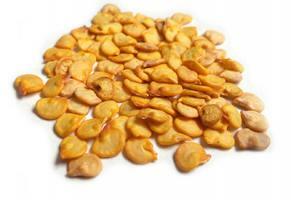 By the way, nitrogen is also responsible for the later production of capsaicin in the fruits. 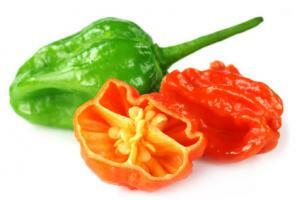 For the chilli plant to develop beautiful, healthy fruits, it also needs phosphorus and potassium. However, it is important that you do not fertilize too much before fruiting, because otherwise, the plant will only get many, large leaves instead of producing many fruits. Once the fruiting has started, however, you should fertilize your chilli plant every week in order to get lots of chilies! For more information about chilli cultivation and maintenance check out our online crash course (German) about the Chilli breed on Pepperworld.de ! Receive regular e-mail news about hot products, vouchers & promotions and get a 5 € voucher. Cancellation of consent possible at any time. Trusted Shops customer reviews for pepperworldhotshop.com: 4.79 / 5.00 of 1945 reviews.